**UPDATE: The live webinar is over but the replay is available online until Sunday August 19th. Click here for access to the replay and hit the "save my seat" button. Do you feel like your mixes don’t seem to compare to what you hear on the radio or in TV & film no matter what you do? Do you want your songs to have that major label radio-ready sound? Well you'll want to check this out! 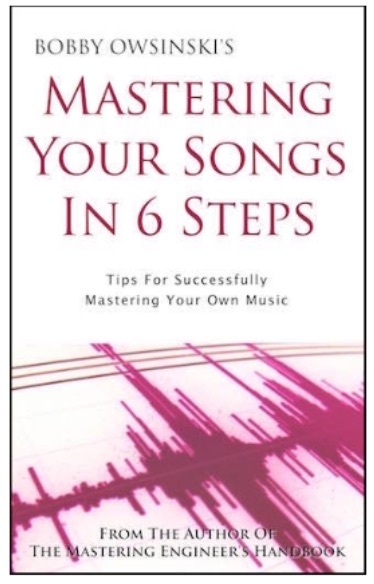 You've heard me talk A LOT about how important your song production is in the licensing world. You've also heard it from the music supervisors I've interviewed. My friend Bobby Owsinski has mixed projects for hundreds of artists (he recently mixed a #2 Billboard album and a #5 on the iTunes rock charts) and now he’s agreed to share some of his top 5 mixing tips with you to help you take your mixes to the next level. Bobby and I are going to do a free online Music Mixing Tips Clinic webinar on Wednesday August 15th at 4PM Eastern/1PM Pacific. You're going to learn 5 easy steps to get your recordings sounding like you hear in movies, network TV shows, and ads. Also, we’ll be handing out a free ebook to anyone who attends. P.S. Bobby and I will be available to answer any questions that you might have in the Q&A session at the end of the webinar. And if you can't make the live webinar, you can still register for access to the video replay.